We pray that you will be a part of our spiritual family in love and support. We strive to deepen in our discipleship to Christ and to grow in our spiritual lives. We take our faith seriously, enjoying each other's fellowship in Christ, and pray unceasingly that Our Lord God and Savior Jesus Christ, who is "the same, yesterday, today, and forever," continues to bless our mission to the world. 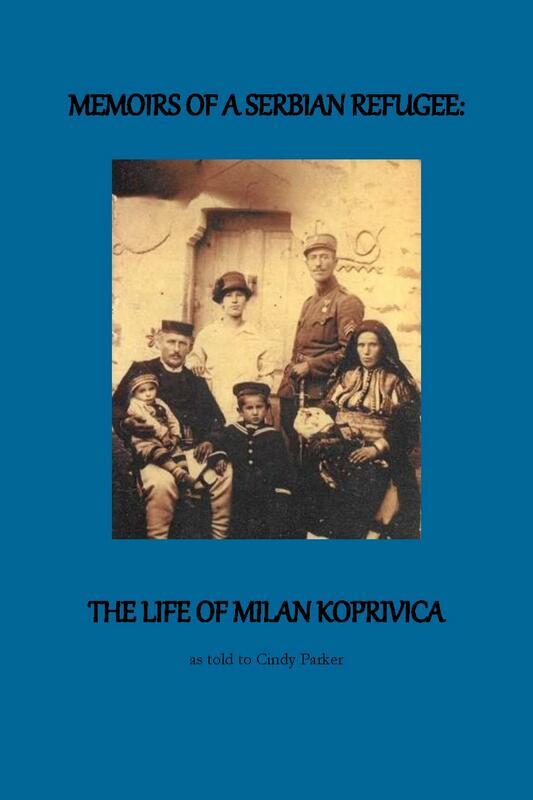 This book is the life story of our beloved Djedo, Milan Koprivica (Fr. Dusan’s father), an ethnic Serb who was born in Macedonia and fled with his family to Serbia after Yugoslavia fell under Nazi Occupation in World War II. To order please click on the button below. All proceeds will go to the church building fund. Bishop Paul Presents Archpriest Fr. Dusan with Jeweled Cross. Father Dusan Koprivica and Council President Phil Frantzis at the signing table. Donations can be sent using the button below. The cookbook was dedicated by the Sisterhood to honor the 50th Anniversary of St. Demetrius Church on October 26, 2008. It is with gratitude that we acknowledge those who established this parish, some of whom have fallen asleep in the Lord. Their Orthodox Christian faith was essential to their lives, and they built St. Demetrius Church through hard work and sacrifice. They gave generously of their humble means, worshiping and serving in obedience to the commandment of Love given by Jesus Christ. May God continue to grant our parish community many years in His Grace and may we be a beacon of His Light to all!